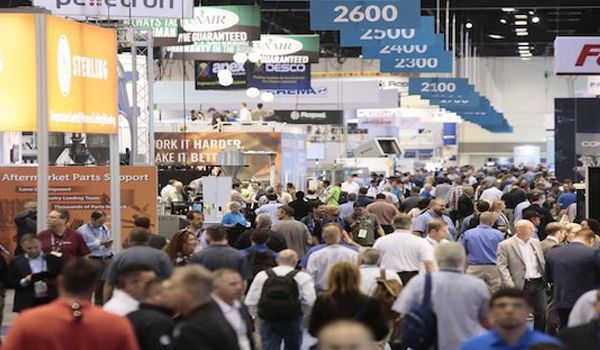 The Plastics Industry Association (PLASTICS) recently concluded its largest NPE2018: The Plastics Show, known as the top plastics industry event in North America. The triennial trade show and conference, which took place May 7-11 at the Orange County Convention Center in Orlando, attracted approximately 65,000 attendees and more than 2,180 exhibiting companies covering more than 1.2 million square feet of exhibit space. In addition, more than 11,000 international attendees from 110 countries participated in the event. At its 2015 edition, held March 23-27 at the OCCC, NPE boasted 65,810 attendees and 2,029 exhibitors spanning just more than 1.1 net sq. ft. of expo space. With the theme of “We’ve got it covered,”NPE2018 drew in thousands of plastic industry professionals for five days of learning, networking and technological discovery, while showcasing emerging technologies and innovations that are shaping the future of plastics. According to NPE officials, while the show exceeding expectations in metrics, strategic additions helped the event feel bigger and better than ever. “We worked diligently to continue the tradition of innovation that NPE is known for with features like our 80,000 square foot Bottle Zone and our expanded education programming,” explained Susan Krys, PLASTICS vice president of trade shows and marketing, during the event. As attendees walked the show halls lined with large TV screens, they had a chance to view interviews on NPE Network with plastics professionals who make plastics safer, better and stronger, while the Show Daily included recaps of the machines, product launches and expansion announcements coming out of the show each day. The event also included a local component through NPE’s new student day program, which engages high school students who might not otherwise have considered careers in plastics. On and off the trade show floor, there were new programming additions to attract broader end-market attendees. New and expanded elements at NPE included 12 technology zones — five of which were new — and nine education programs, including a 3D Printing Workshop and an Agricultural Plastics Recycling Conference, as well as the collocation of the new PLASTICS-produced Re|focus Sustainability & Recycling Summit and the Plastics Leadership Summit — educational events for sustainability and C-suite executives, respectively. “We’ve intentionally designed programming for attendees who’ve expressed interest in expanded educational opportunities at NPE,” said William R. Carteaux, president and CEO of PLASTICS.